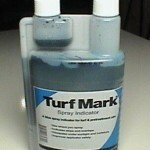 PRODUCT DESCRIPTION: Blue dye that is added to any tank mix which is targeting a plant like grass or turf. The blue is biodegradable and will disappear in a few days. Using the dye enables the applicator to know exactly where they have sprayed and where they have missed. This knowledge will allow for thorough and complete applications. No longer do you have to wonder where you sprayed and more importantly, you can avoid double or triple applying product to any area which could prove disastrous to some plants. 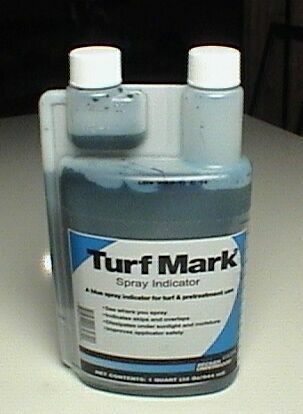 WHERE TO USE IT: On any turf site or application. RATE OF APPLICATION: 1 oz per gallon of water when using it in the yard; 2 oz per gallon when using it in Boracare.